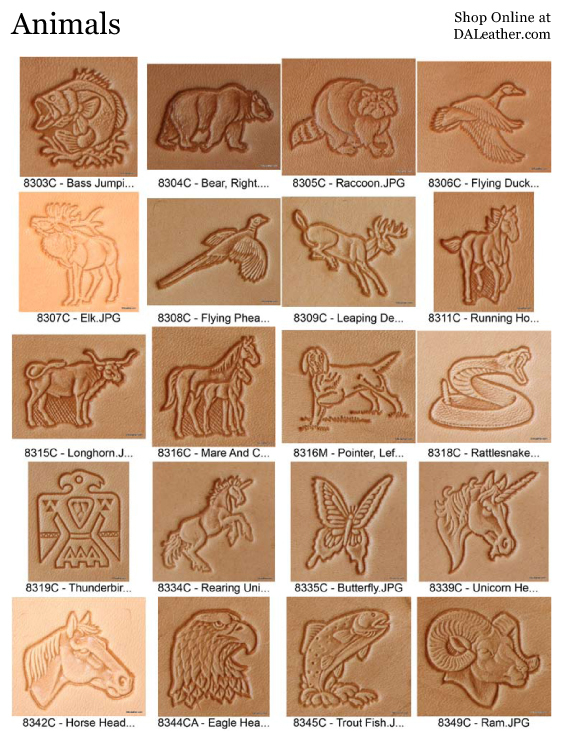 THESE 3D STAMPS ARE NOT FOR SALE, they are for choosing to use in custom products made by DA Leather. 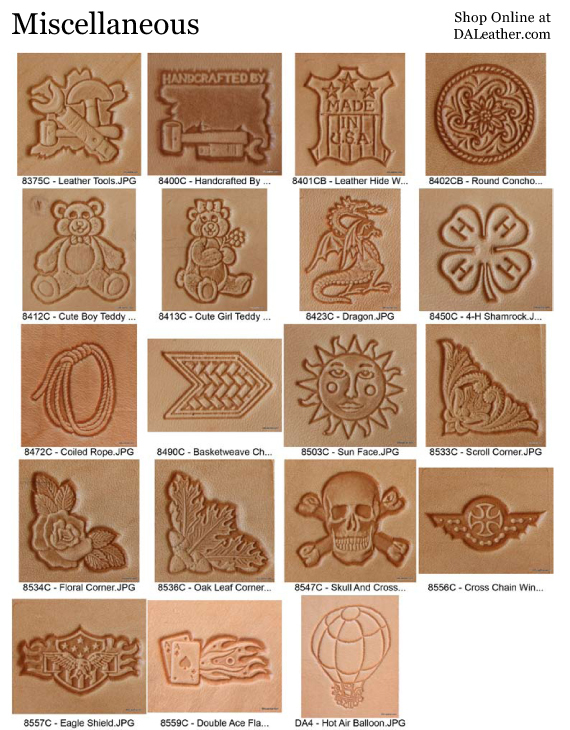 Personalize your belt, guitar strap or most any custom leather accesory DA Leather makes. 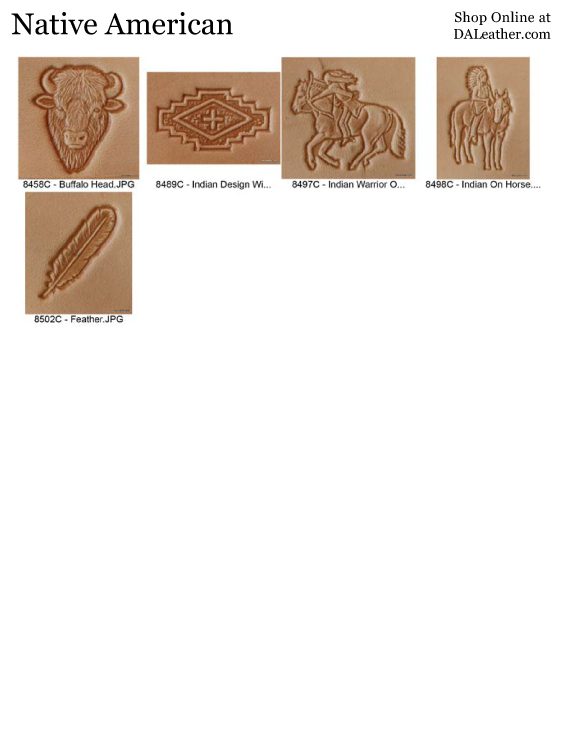 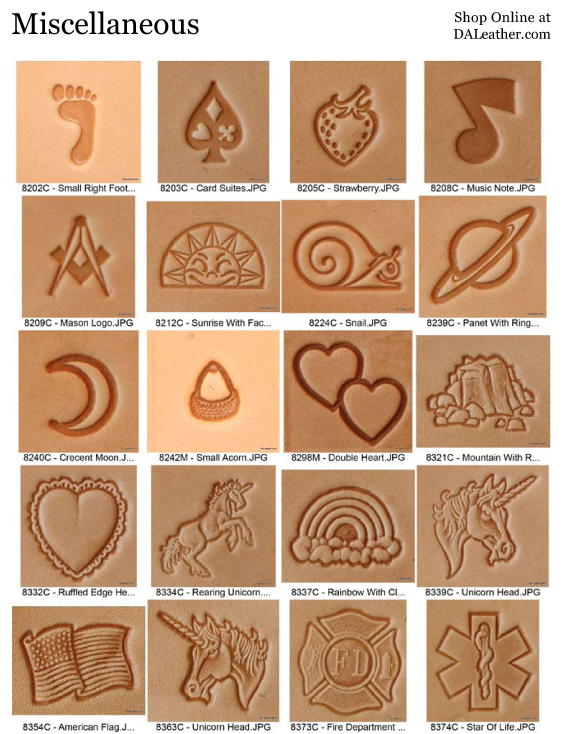 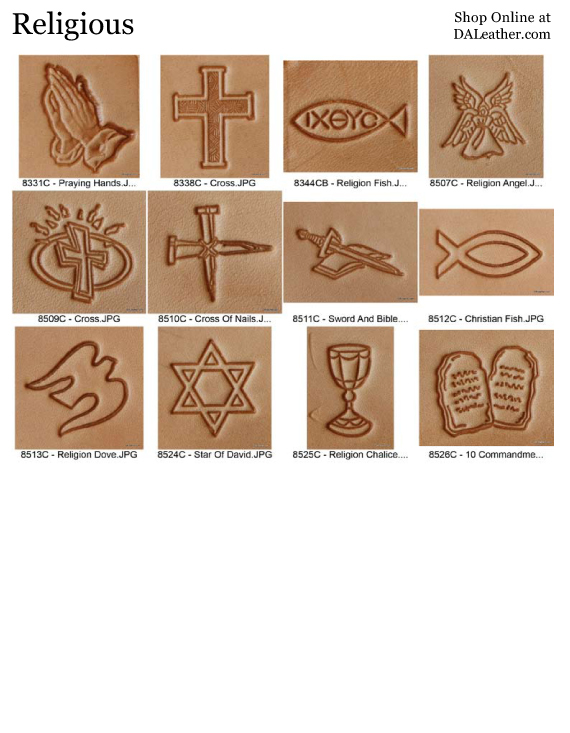 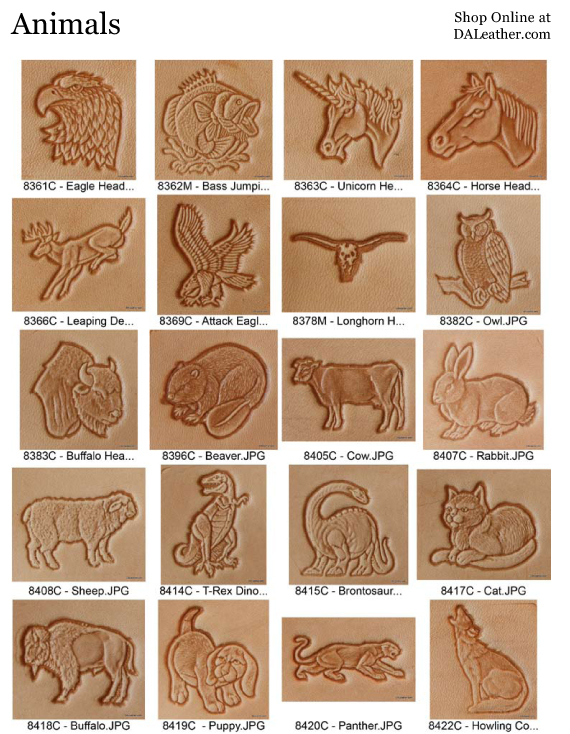 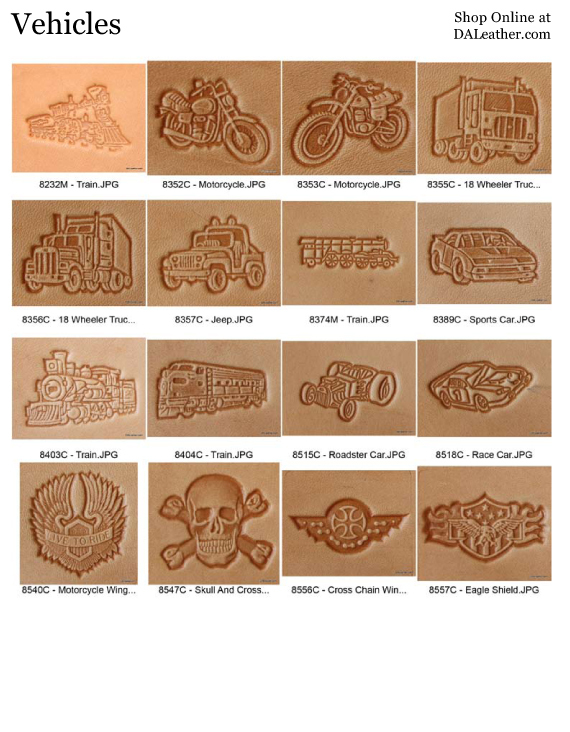 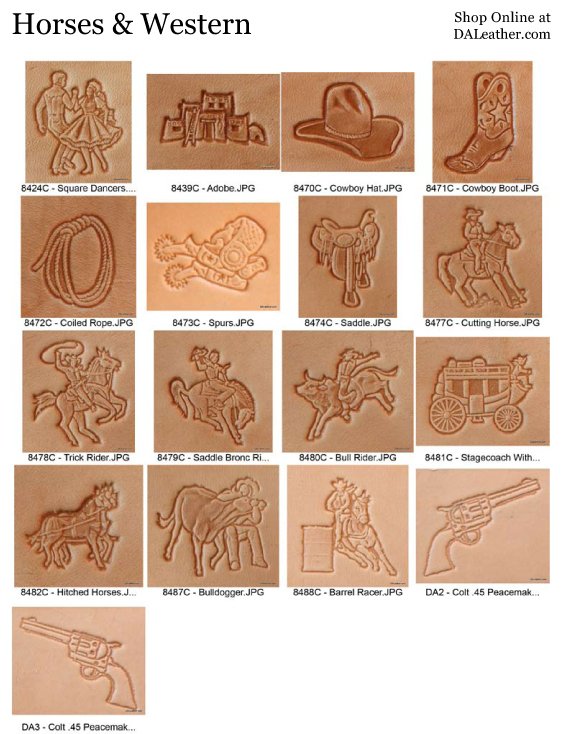 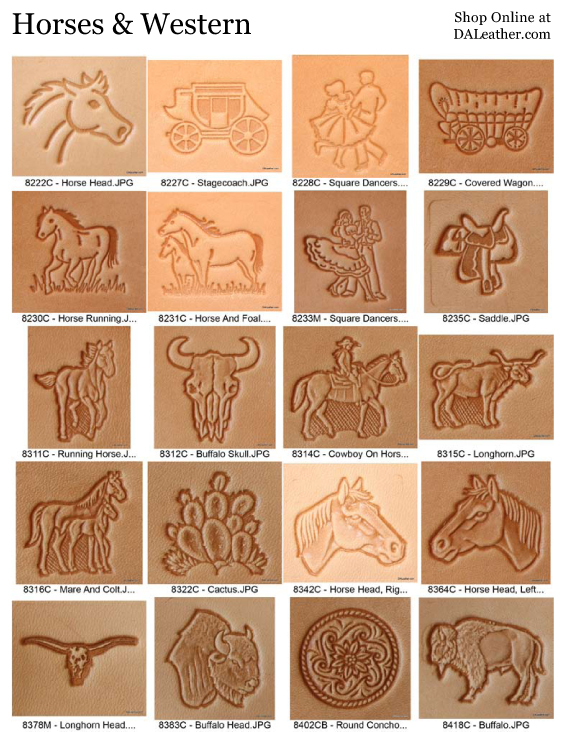 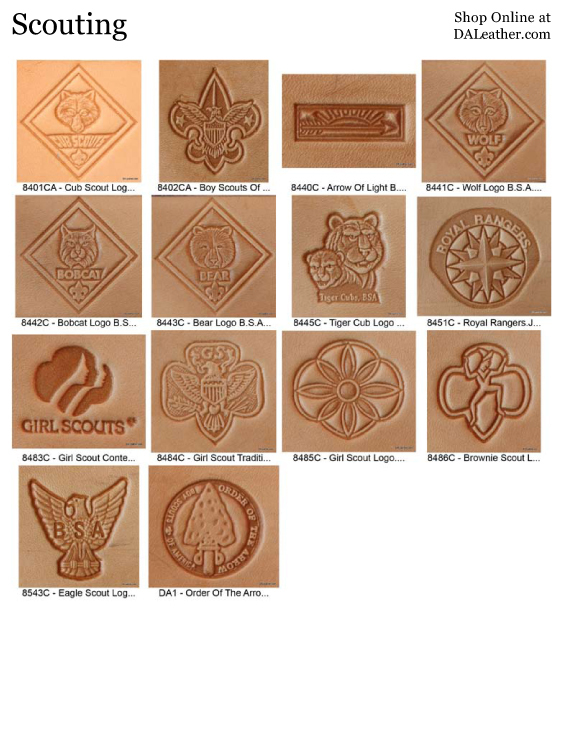 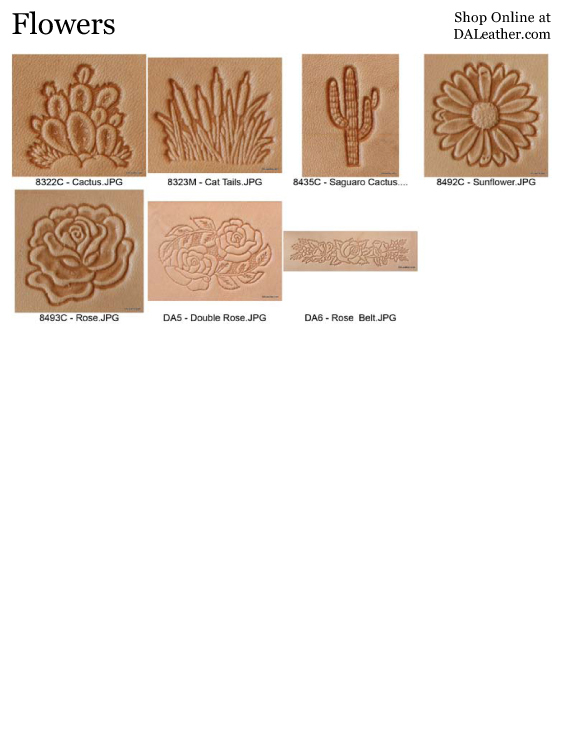 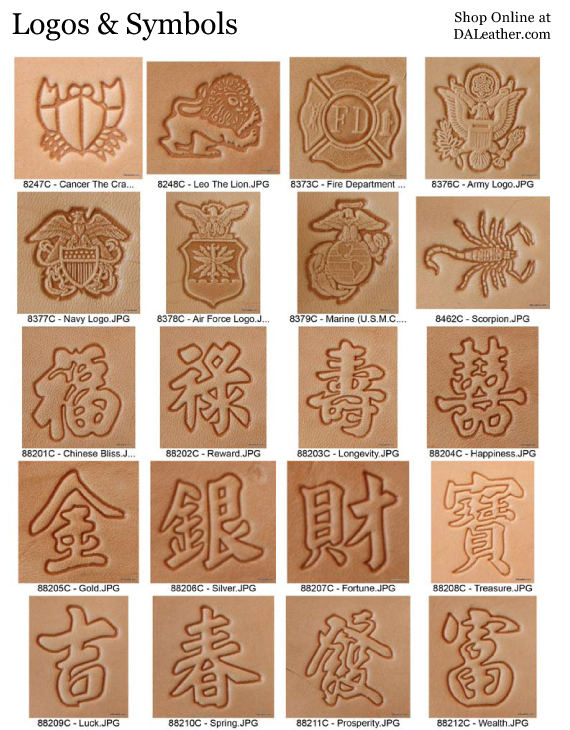 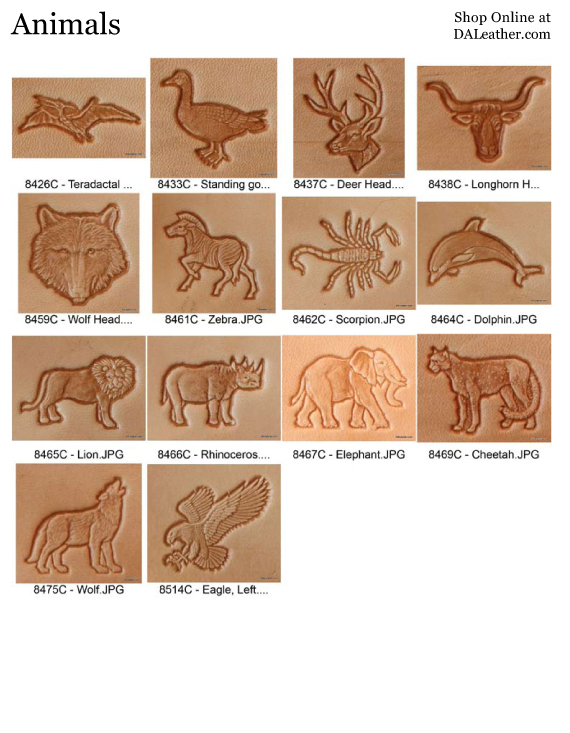 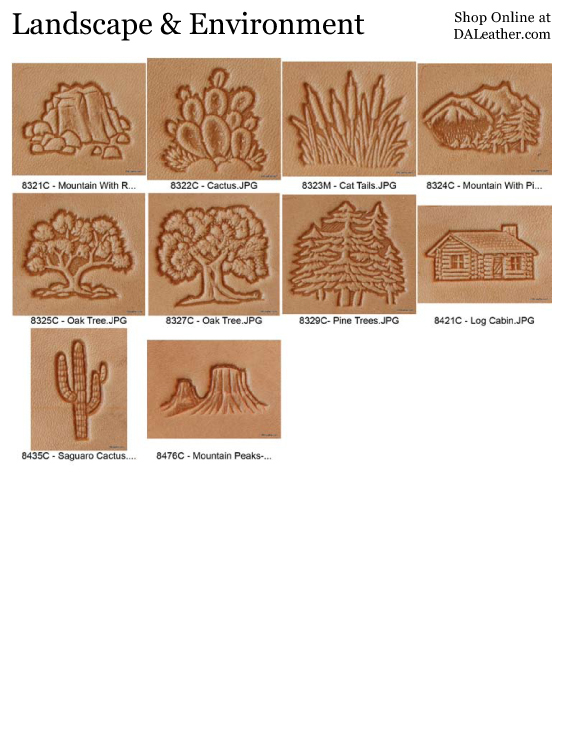 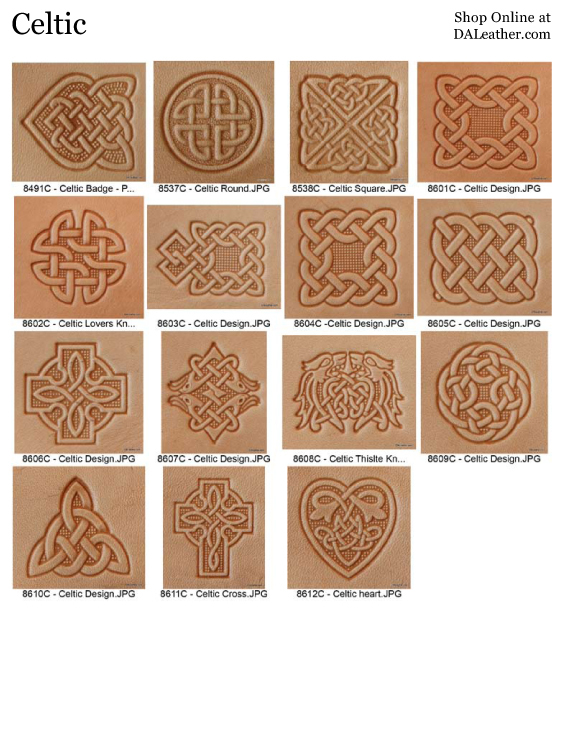 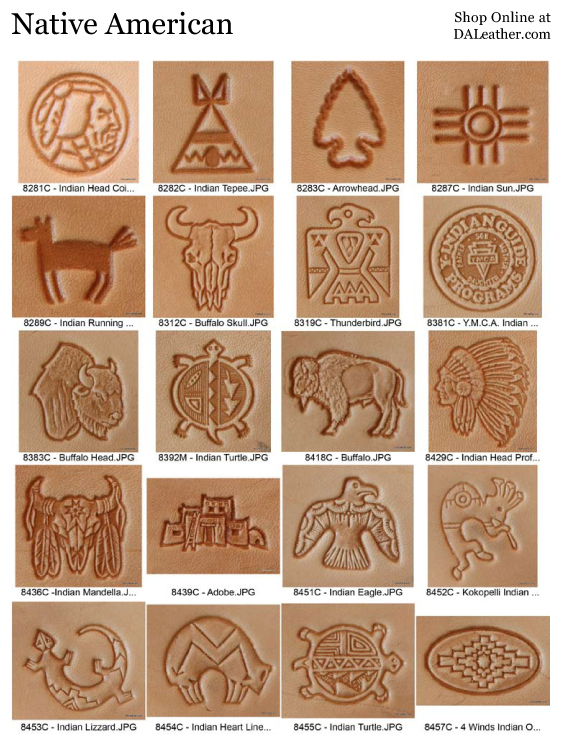 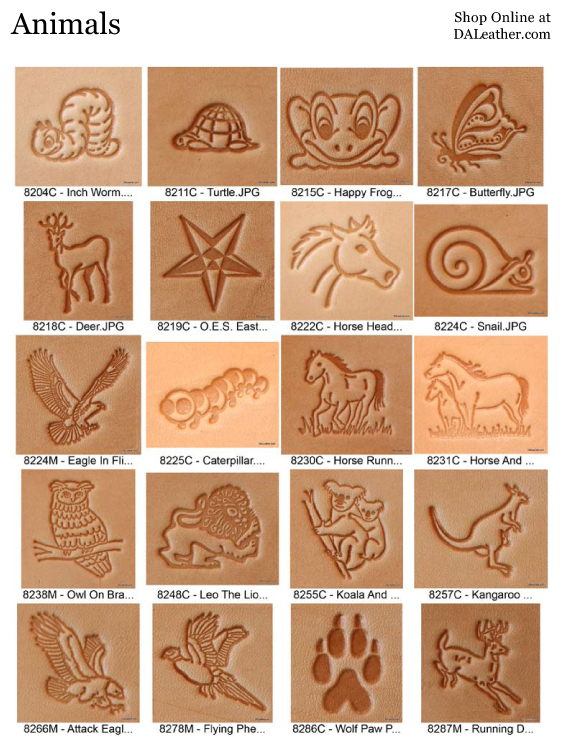 We have hundreds of 3D leather stamps to choose from scroll down below and choose from categories like; Animals, Celtic, Flowers, Horses & Western, Landscape & Environment, Logos & Symbols, Miscellaneous, Native American, Religious, Scouting, Sports, amd Vehicles. 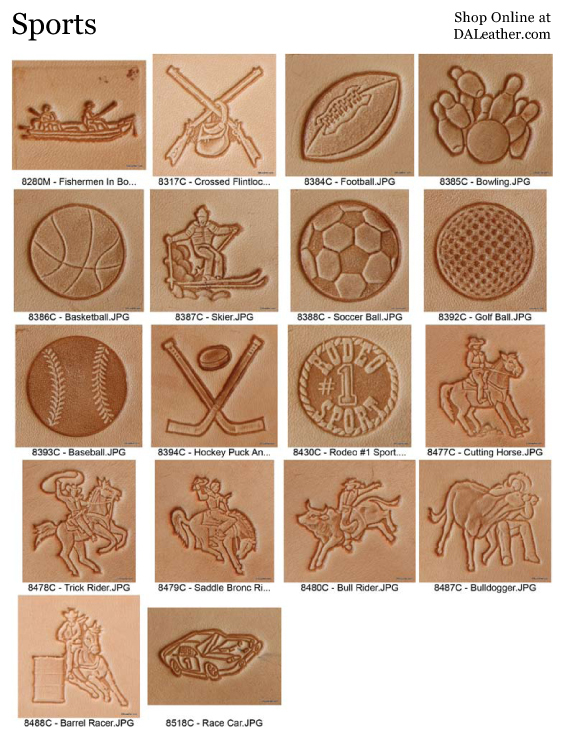 Each picture has the stamp code right under it, make sure to use that code when making your purchase for a leather product that is unique and all your own!.